Panasonic ER-GB40-S, more specifically the cordless beard and mustache trimmer, offers you both kinds of trimming options. There is a wet and dry option, along with a wide array of lengths to pick. You can use it in water completely and safely, which means there is no problem with you trimming in the shower every day. As a bonus, this waterproof feature makes mustache and beard cleaning very easy. This Panasonic trimming kit is very easy for you to use due to the handle’s ergonomic design. Hypoallergenic rubber has been used on the construction of the handle so that it would not bother sensitive skin if you might have it. It also has one water drain which lets water flow through the tool safely, so that the rinsing is easy and you would not have to worry about hair sticking everywhere in sight. This Panasonic ER-GB40-S Trimmer is equipped with one charging stand which you could also use to store the trimmer. You will also find an indicator that would let you know when the kit is completely charged. After you charge the trimmer for about 1.5 hours, you can operate the tool cordlessly for as long as fifty minutes. 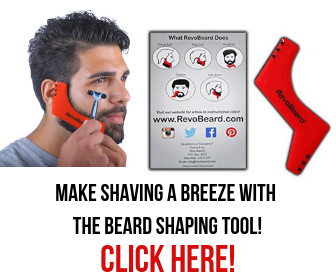 This means that you will find it convenient and easy to trim absolutely anywhere you are. The trimmer we feature here comes with a fully sized blade which is efficient and sharp. You are guaranteed to receive an even and smooth trim within just a few strokes and passes. That is sure to trim you a lot of trouble and time. The extraordinary quality of this blade reduces the dangers of pulling out your hair, painfully in fact, while you are trimming. The length adjusting feature of this top beard trimmer of 2018 allows you to tweak it internally which makes the Panasonic ER-BG40-S an easily handled, no-fuss beard trimmer. You only need to adjust the length on it. The trimmer is great for trimming your beard and mustache, plus it also works really well if you want to trim your other body parts. If you want an all-purpose hair grooming tool for you, this specific Panasonic tool is the perfect choice. Say that you have too much hair to gather into the blade, there are some negative effects you are going to experience. For example, if you have clogged hair that hinders a smooth trim and pulled hair unexpectedly. It is advised that you should clean this blade as often as you can, you would have much better results. You would probably find that pausing your trimming just to jam the blade under running water every few second is pretty inconvenient. On the other hand you can use the Philips Norelco All-in-1 or Philips Norelco QT4070/41 Beard Trimmer for the most excellent results. You need to be careful when it comes to the maintenance of this blade. The trimmer needs to be oiled a little more than you might think. If you somehow miss to oil it up frequently, there are definitely going to be some unwanted issues with uneven hair cutting and hair pulling. Although you need to do some additional oiling and cleaning work to keep this kit working well, it is a nice and top quality trimmer overall. This Panasonic beard trimmer can be perfectly used on dry or wet hair, plus you could freely use it in your shower too. Cleaning is easy and you can pick from any sort of length which you would be able to adjust easily. 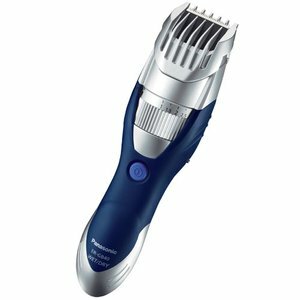 Whether you want to groom your body, hair, or your mane, this Panasonic ER-GB40-S Best Beard Trimmer will work great for you.